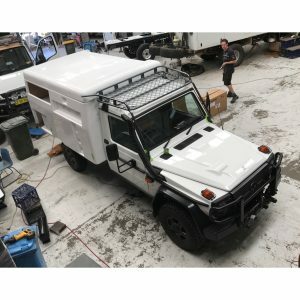 For those Customers who would like a smaller Earthcruiser, driveable on a car licence – we are excited to reveal the latest Earthcruiser in the family… The Escape! 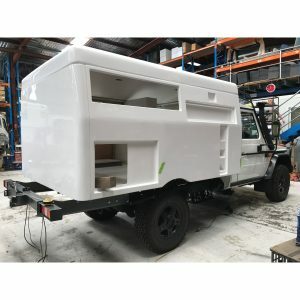 The workshop is buzzing through this build and we are excited to bring you some of our progress shots. Car licence only. 250l fuel. 270l water. 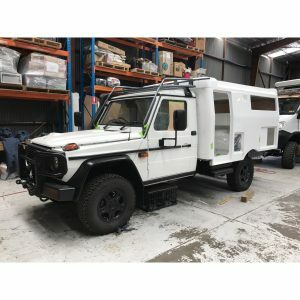 This G-Class Professional G300 is the latest in a long line of G-Class variants ticks all the boxes for customers looking for an Earthcruiser which can be driven with a car licence while having enough load space & weight to keep you legally well under your GVM. 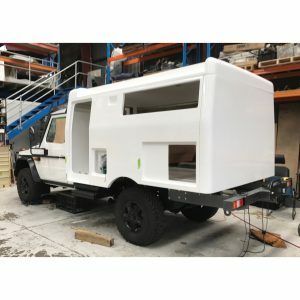 With coil suspension, front disc brakes and triple diff lockers as standard- this is the perfect, tough 4×4 cab-chassis. This vehicle also includes 250 litres of fuel and 270 litres of water with the ability to fit portal axles and CTIS. Teamed with all the signature creature comforts that only Earthcruiser can offer- the Earthcruiser Escape helps you hit the great outdoors in style and comfort. To register your interest in the Earthcruiser Escape- register your details here.